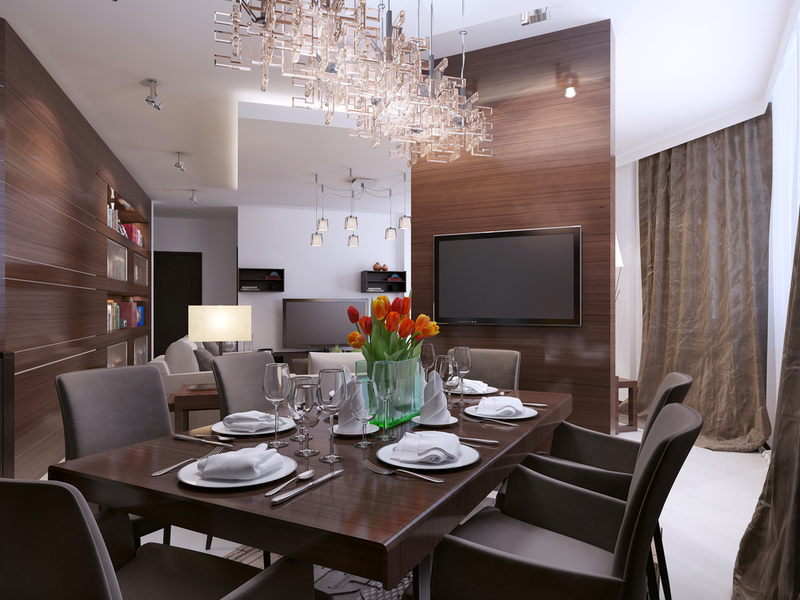 Indeed, there is no better way of decorating your dining area than placing the finest piece of furniture. A tranquil dinette set breathes life into your dining room and enhances its functionality. But, what actually defines the right fixture? When it comes to style, dining table sets have come a long way from traditional large sized models to the more compact and appealing contemporary designs. While the classic fixtures are a symbol of true craftsmanship, the present day dining tables and chairs are aimed at functionality. These look trendy and spice up your interiors to the fullest by making them look livelier. For instance, the extending dining table sets that can be expanded for large gatherings. There is certainly no shortage in terms of material being used in the manufacture of furniture. Be it wooden, real oak or glass; one can find furniture in accordance with individual tastes and expectations. What's even more exciting is that manufacturing houses are now structuring furniture by blending together 2-3 materials. For example, one can shop for dining table having glass top, with a base of oak. Although such dining sets are comparatively heftily priced, but these are more comfortable and look classier! Like any other item of utility, budget remains a detrimental factor. Furniture In Fashion offers dining sets depending upon budget. All those people who follow a lavish lifestyle, they can invest in the premier range that lets one flaunt their exquisite tastes. Primarily inclusive of High Gloss and Oak, such dinette sets are a masterpiece of innovation. However, not everyone can afford the luxury to buy lavish furnishings. So, for them, keeping an open eye on budget range is the finest alternative. With chairs in leather or metal and wooden or glass table tops, these look elegant and are worth every single penny spent on their purchase. The categories stated above are a reflection of currently followed market interests. But, if one looks at the broader prospective, then it can be concluded that these days, stores offer you the flexibility to shop for bespoke dining sets. From things as small as the shade and design of furniture to as important as its appearance, one can avail benefits of customisation facilities. All you need to do is to search for the right place, let them know off your needs and get crafted magnificent dining stuff for your home.